Decorating our homes has always been the most favorite way to utilize time. 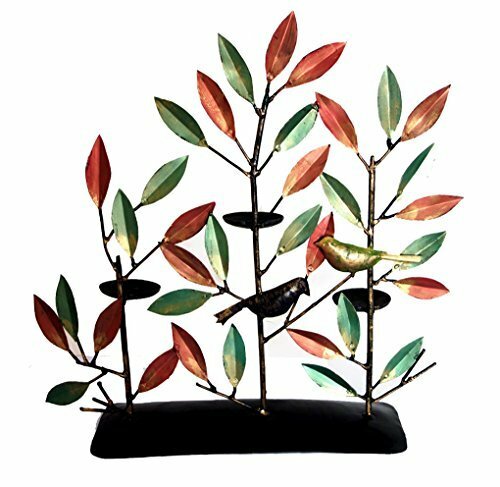 This beautifully designed Wrought Iron Holder adds a beautiful look to the room. You can put your favorite scented candles inside these Candle stand. Lighten up your evenings with a lot of aroma and light. They add a touch of glamour to your room with its shiny appearance. Perfect candle holder for Weddings & Other Events. If you have any questions about this product by Lalhaveli, contact us by completing and submitting the form below. If you are looking for a specif part number, please include it with your message.